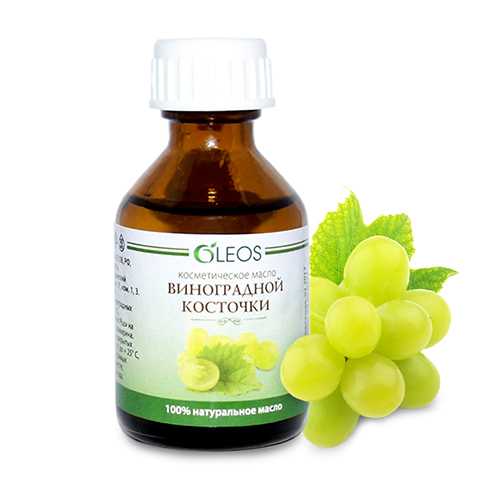 Grape seed oil contains 70% of essential fatty acids, including linoleic acid, vitamin E, tannins. Oil has a light texture, almost no color and smell. Grapeseed oil also contains a high level of compounds called procyanidin dimers that act as aromatase inhibitors, which is believed to be another way they may help prevent and treat cancer. 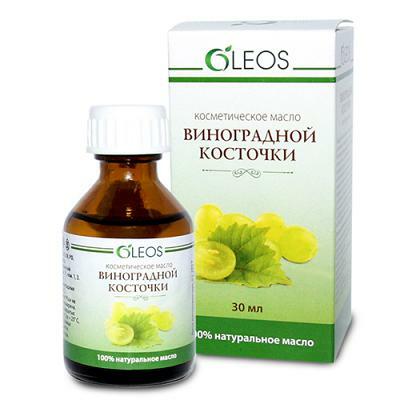 Effective for treatment of bruises, burns, cracks in the skin. It is used in hair care and nail care. Maintains a balance of fat and moisture in the skin. Significantly slows down the aging process, nourishing the skin, saturating it with vitamins.